Triple glued pine wood blocks are used to make wooden window packets. For the surface finish we use ecological water-based Teknos impregnants, varnishes and paints. 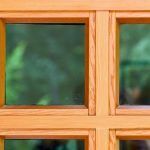 Windows are fitted with two highly durable sealing gums, we use glass panes of various thicknesses produced by Glaskon, glass can be tinted. 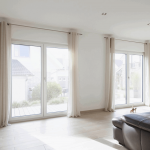 Safe opening, closing and ventilation mechanisms are provided by the Roto. 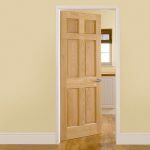 Wooden exterior doors are made of triple-glued pine billets. The door leaf has a thickness of 68mm. We use adjustable finger hinges, and 'Roto' three-point locking key mechanism. It provides better pressure on the seals that are embedded in the frame. 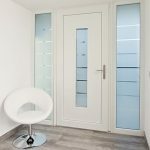 Glass panels can be fitted in doors, normal or insulated glass can be used in doors. The doors are treated with ''Teknos'' brand impregnants, stains, lacquers and covering colors. We use Rehau profiles for PVC windows - Brillant design, Euro Design 70 and Synego. The profile information is available in our technogies page, or on REHAU homepage. We use Glaskon glass packages and Roto fittings.